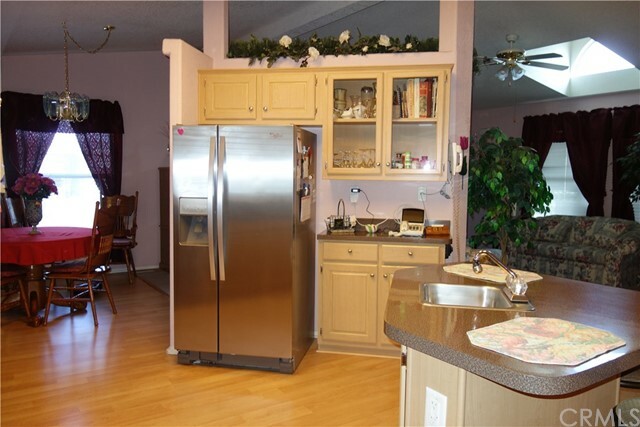 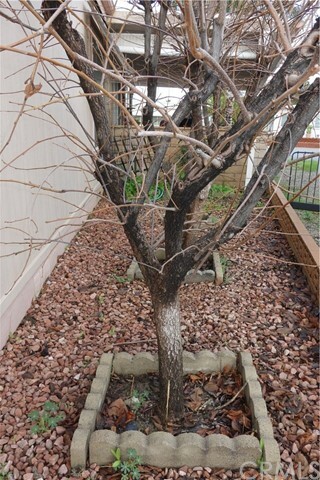 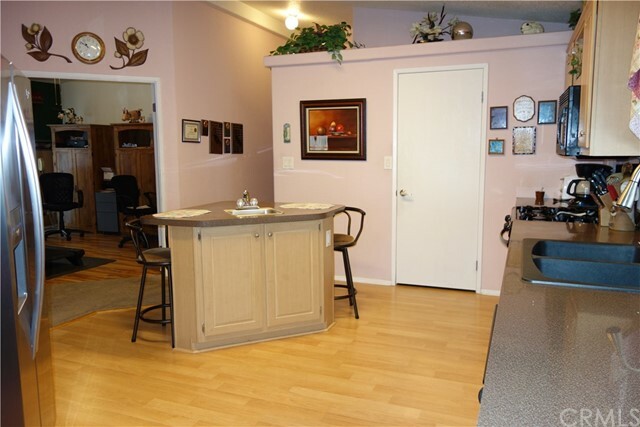 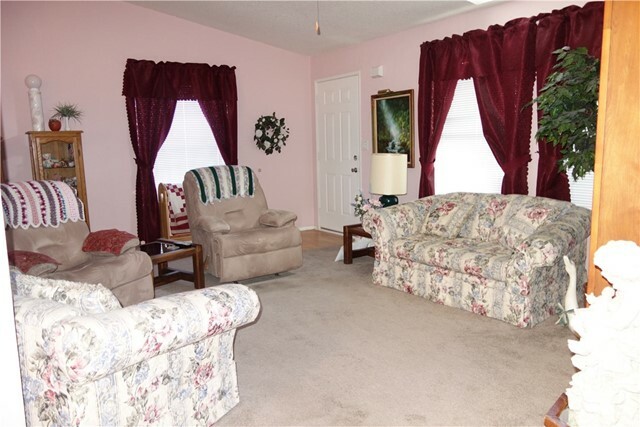 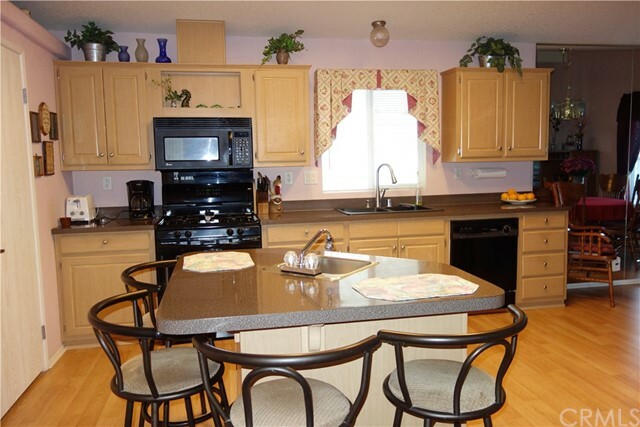 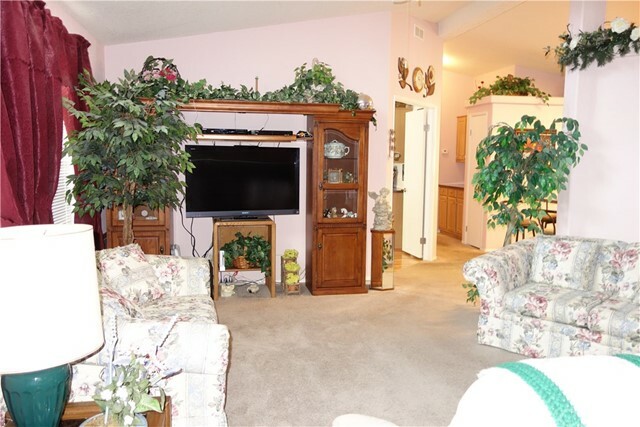 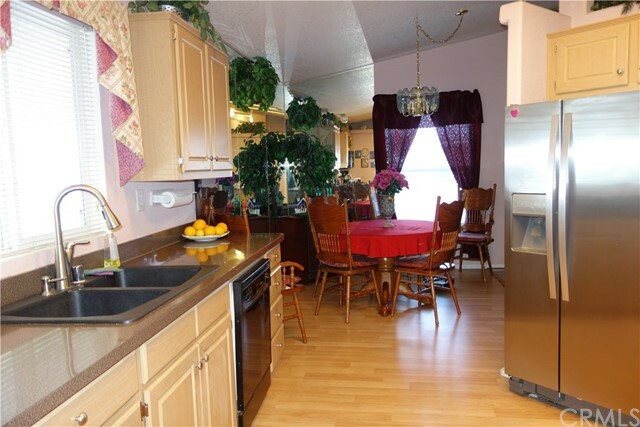 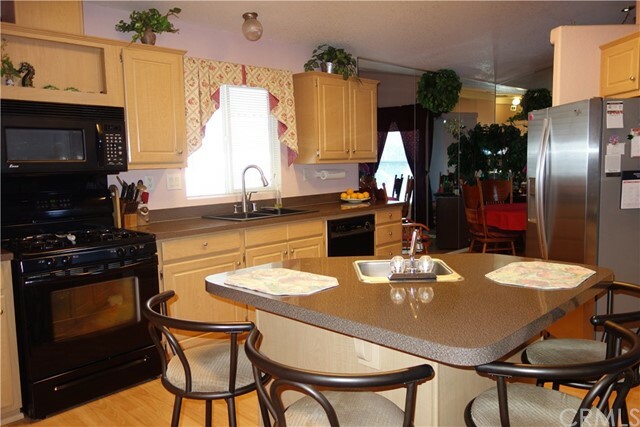 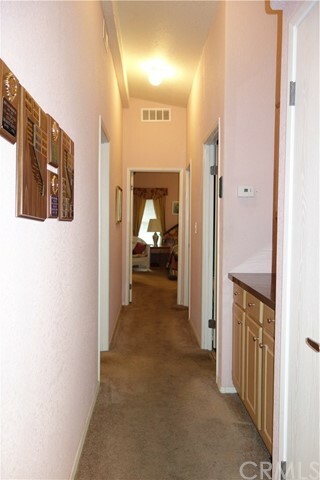 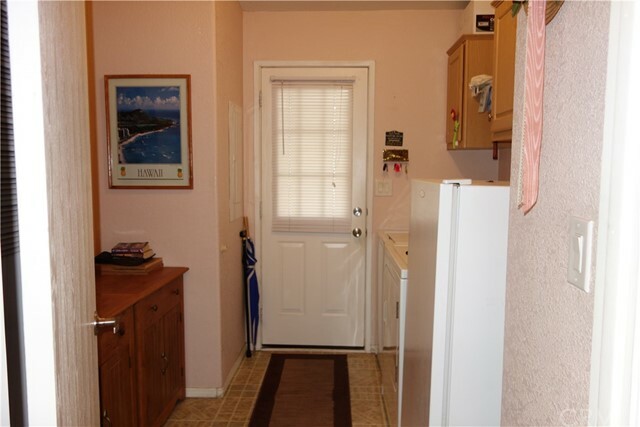 Come take a look at this Beautiful 3 bedroom 2 bath home featuring newer laminate flooring, a cozy living room, A formal dining room that flows nicely to the Big open kitchen with a walk in pantry, built in microwave, lots of kitchen cabinets plenty of counter space, newer sink and faucet and a Great Kitchen island! 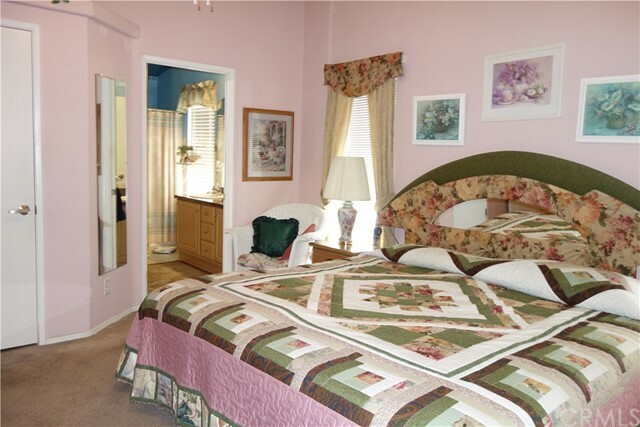 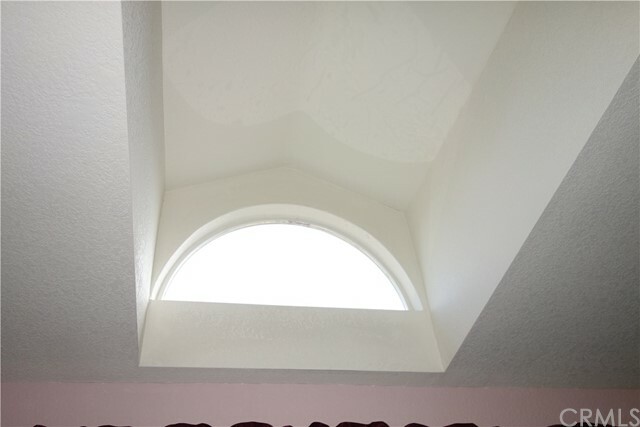 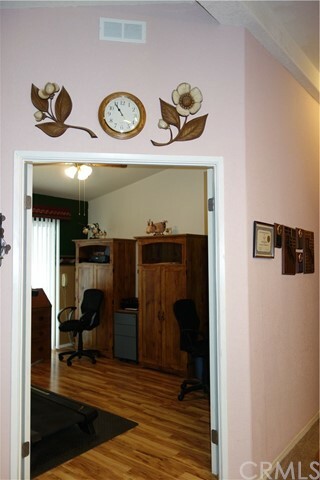 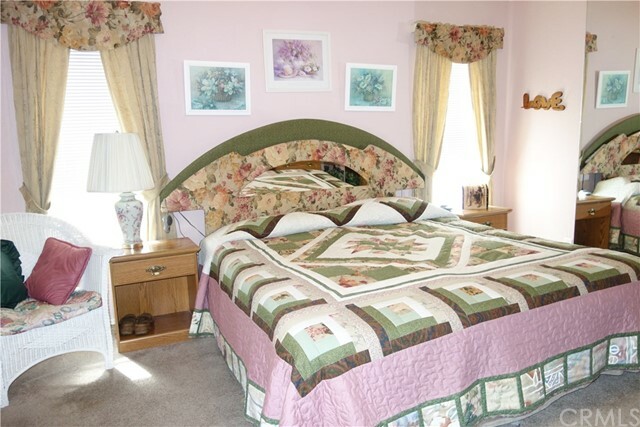 The first bedroom is open and spacious with double doors and a slider that leads outside to the Big Open covered patio. 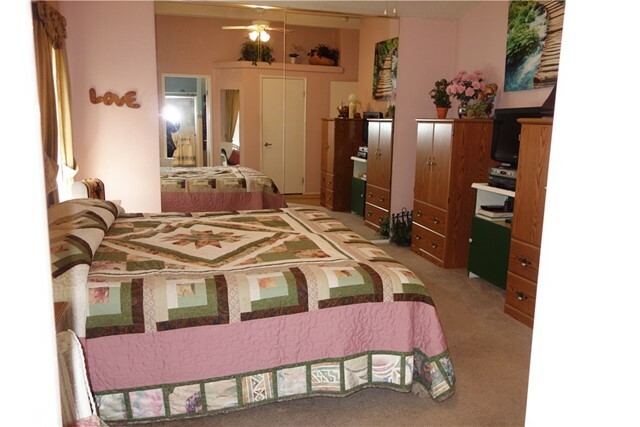 Bedroom # 2 is huge and features a walk in closet and ceiling fan, bedroom # 3 is the master with plenty of room for all your bedroom furniture and features a mirrored wall. 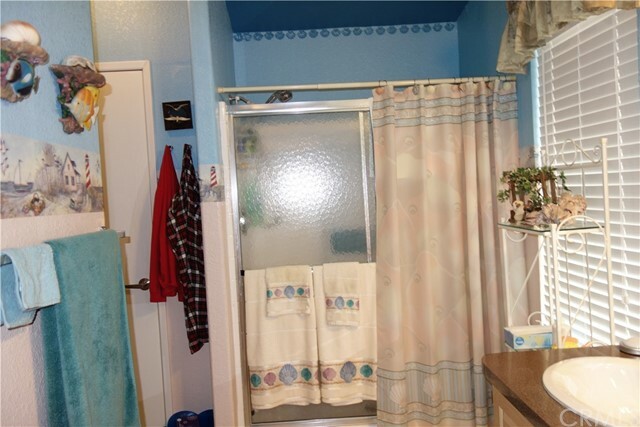 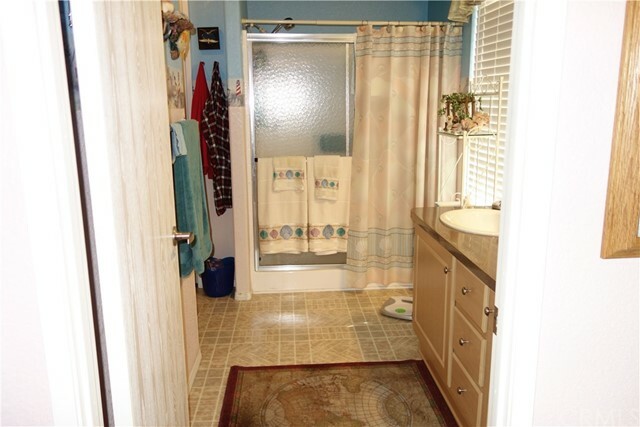 The guest bathroom is large with a walk in shower. 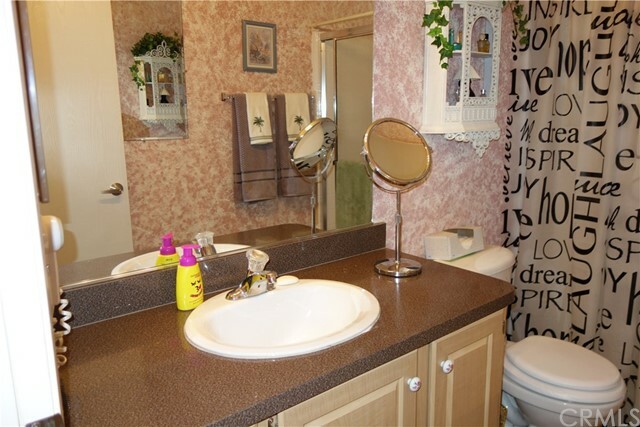 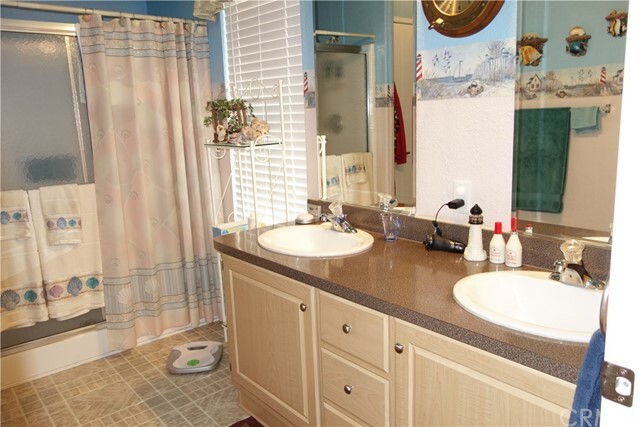 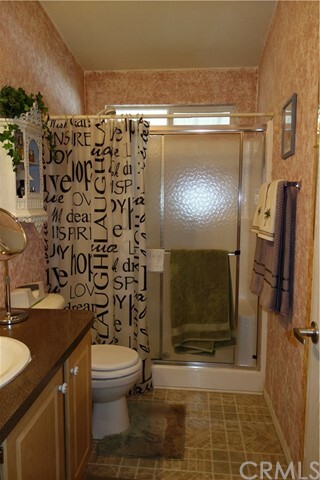 The master bath is open and spacious with dual sinks and a walk in shower. 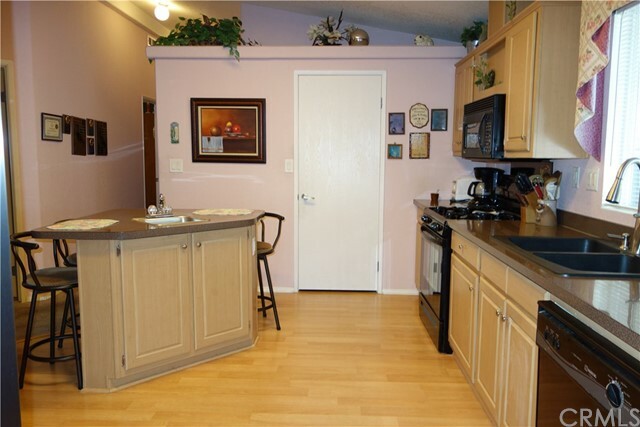 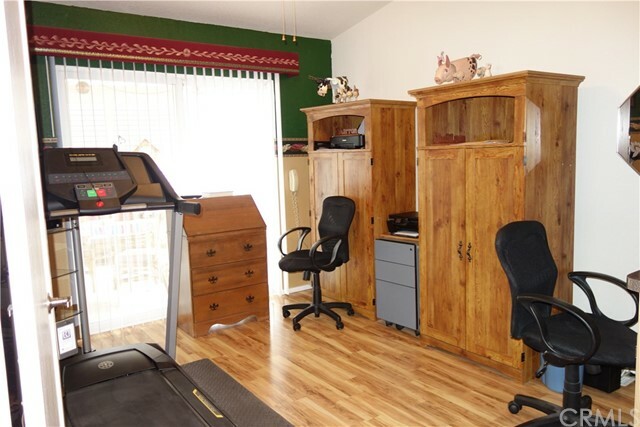 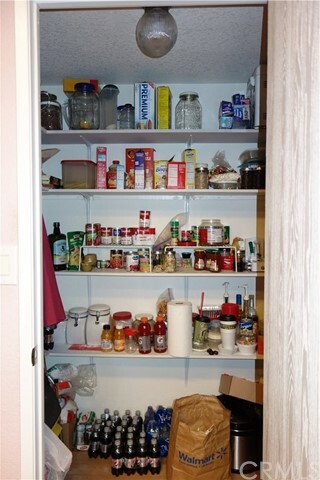 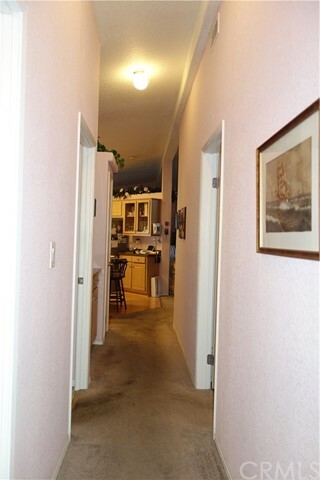 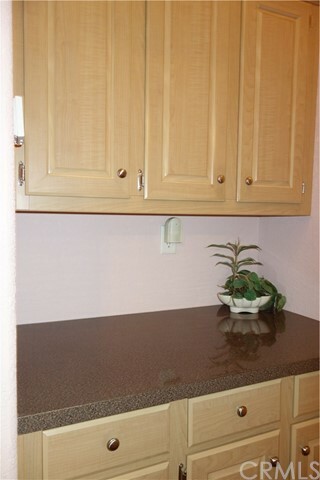 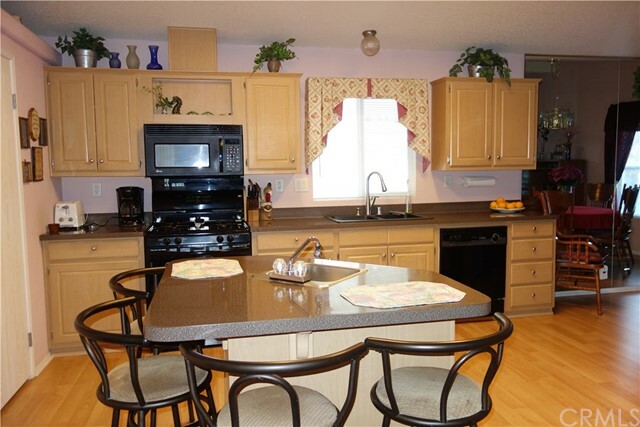 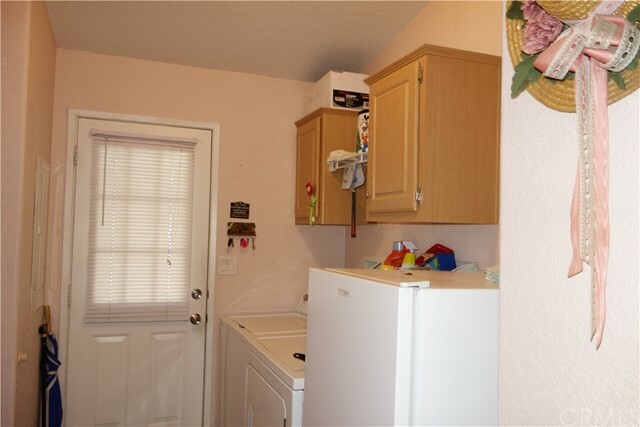 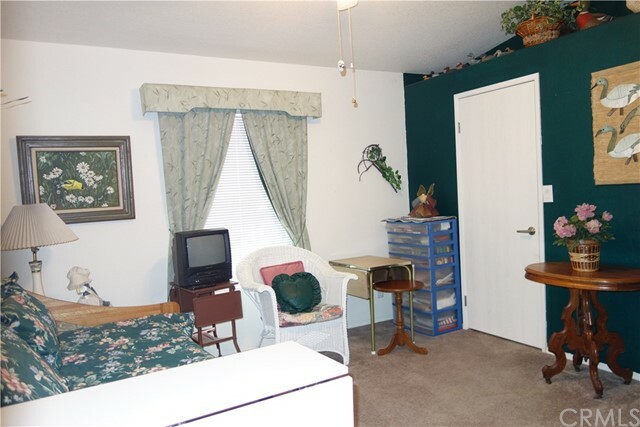 The laundry room is spacious with cabinets to store your things. 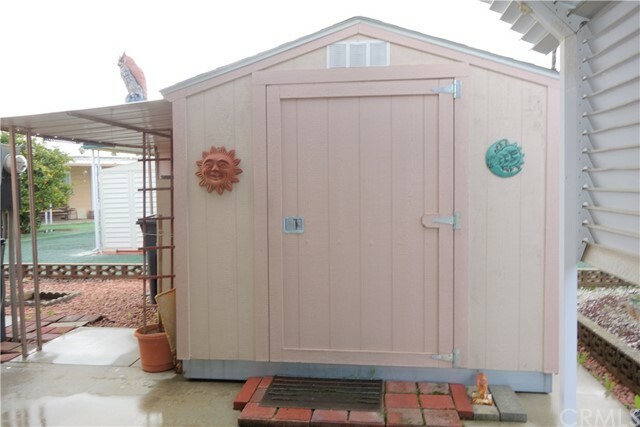 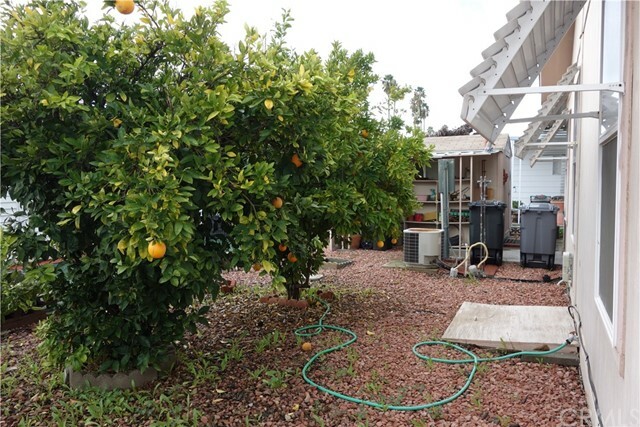 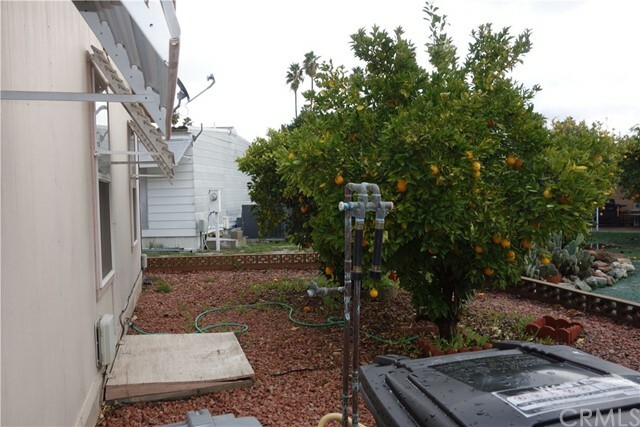 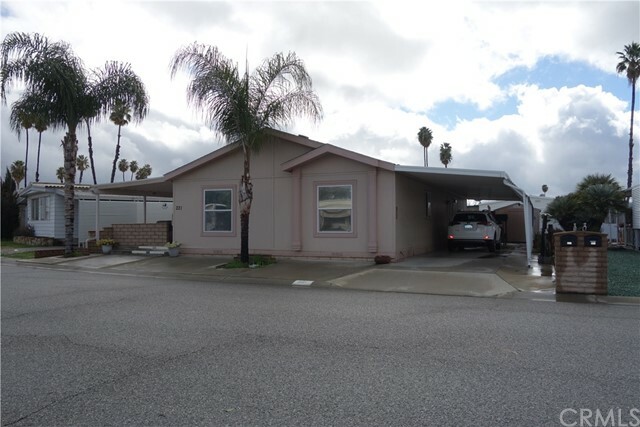 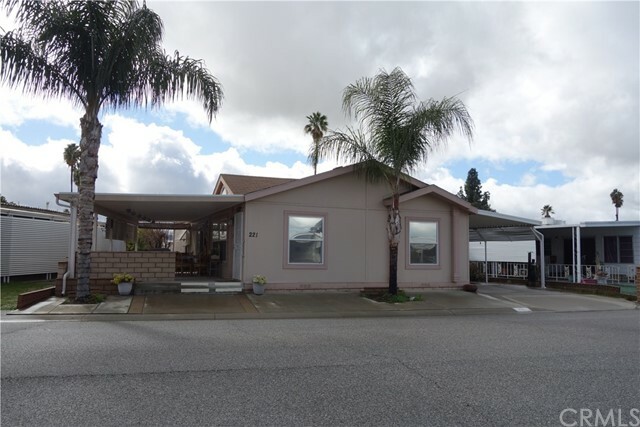 Outside features a large shed, orange & persimmon trees and nice palm trees. 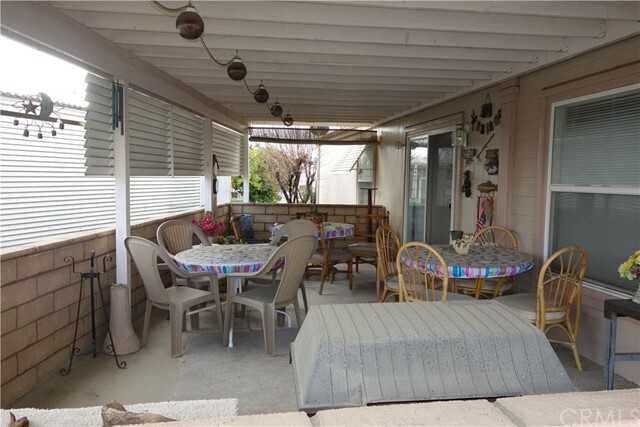 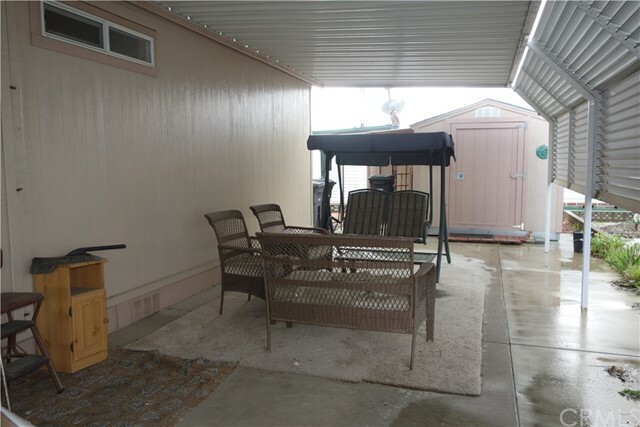 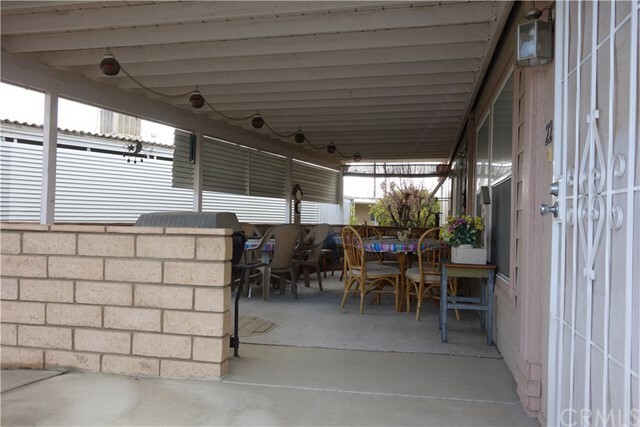 The front covered patio is large with plenty of room for bbq'ing and enjoying your favorite beverage. 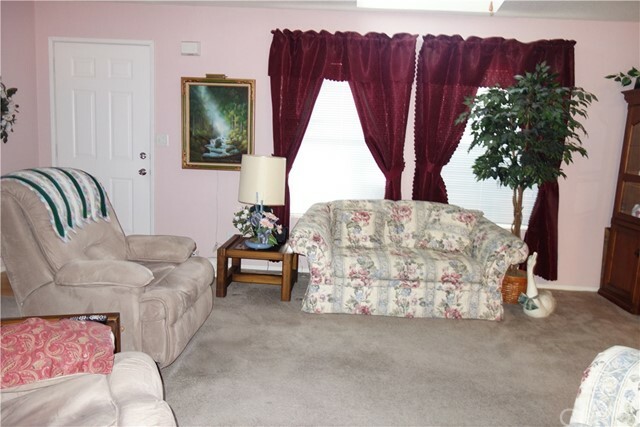 This home is located in the Sierra Dawn Community with 4 clubhouses 5 pools, spa's sauna, exercise room and classes and over 30 activities for you to enjoy! 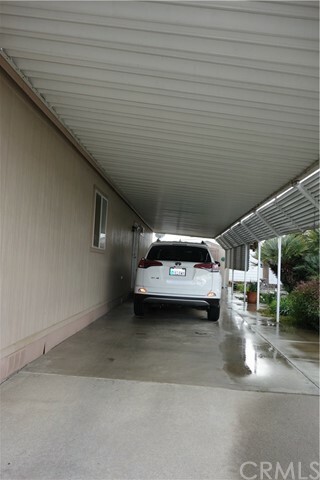 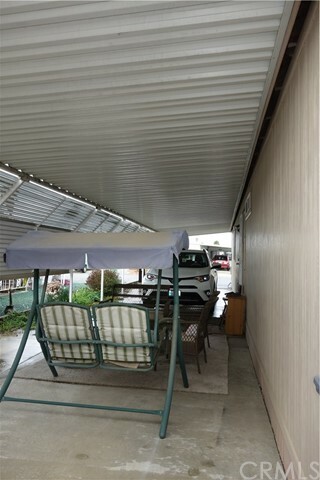 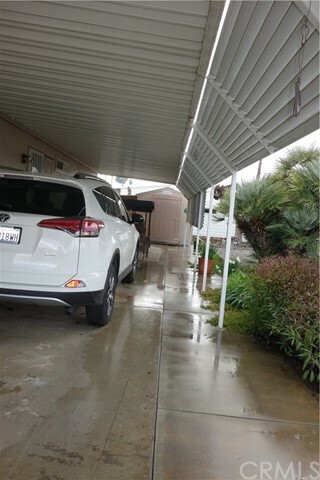 The carport is extra wide and can nicely fit 3 cars. 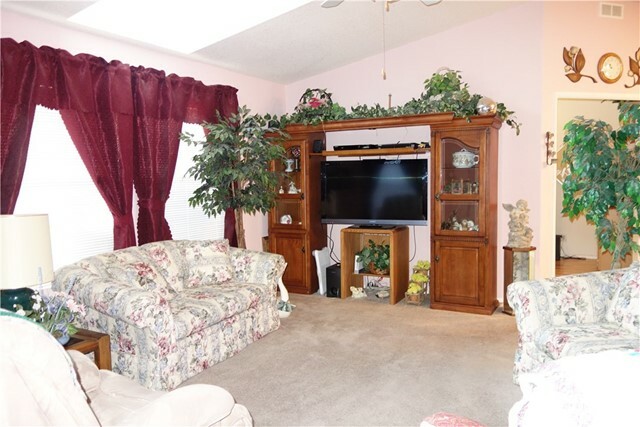 Put this one on your "Must See" list! 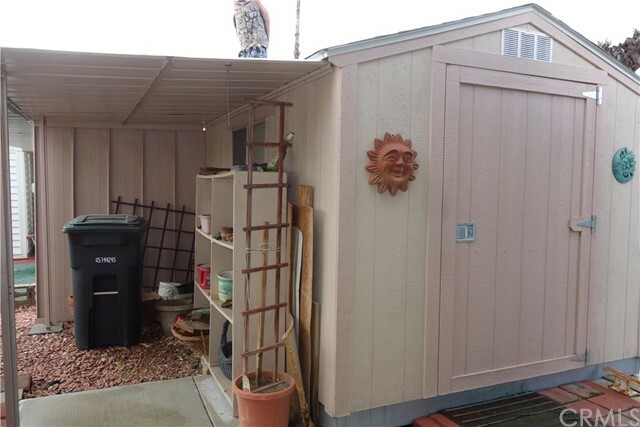 You own your own land!